My story is a long and complicated one I'm still compiling, I've started over at ajunkieslife.blog.com and would love some feedback from my peers. This isn't just a plug, its the easiest way to get my full story across and give an insight into how a life of addiction really is. I read parts of your blog and found it to be very sad but also very realistic. Being addicted to heroin or cocaine or both is living in hell on earth. I think sharing your story is a great idea to help others to understand what they need to avoid, but if you are still using then you won't be a good example of how to stop? Addiction attacks your brain and allows you to do things that you NEVER thought you would ever be capable of doing. But because your brain has been taken over by the drugs, you have lost control of all that you are and could be. 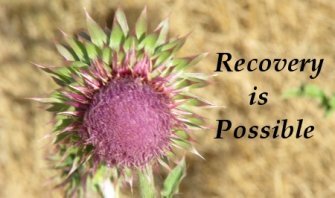 Ending your addiction is certainly possible but you cannot do it alone. You MUST get help to end it otherwise you continue to quit and then relapse over and over again. The statistics are grim, 70% of heroin addicts will DIE from their addiction. They will either overdose, die in a car accident, or commit suicide. To avoid these statistics you need to go to a hospital and get detoxed from the drugs you're on and then get treatment for your addiction. Trying to stop on your own RARELY if ever works. So I salute your efforts on blog but implore you to get the help you need to end your addiction now!